I´m back! It feels like I have been gone forever but here I am! New Video! 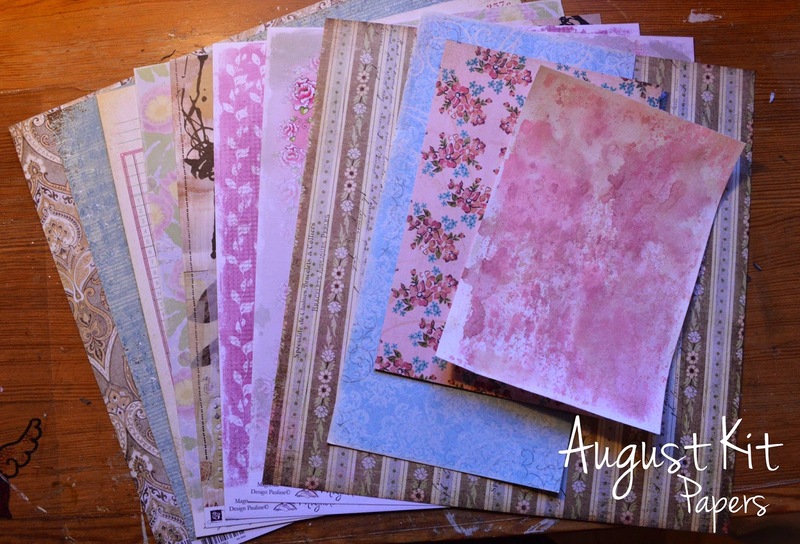 So to start of August I have decided to try something new to use up my scraps: making a kit! Just going through my stuff pulling it out and making my own kit. It was so much fun! So in this kit I pulled mostly brown, blue and pinks. I have allot of vintage feel papers and paired with blue and pink I think it can be really cute. The 12x12 papers are, from the right, Basic Grey (x3) Maja Design, Prima, Magnolia (x2) Basic Grey, Scraps Maja Design & Basic Grey. The pink one is a watercolor piece. In the "Fun Box" I put a 6x6 My Minds Eye Blush pad, Prima stamps, pearls and bling, book-pages, letters and washi tape (not in the photo). I do think that I will add more things to my projects as I go on. 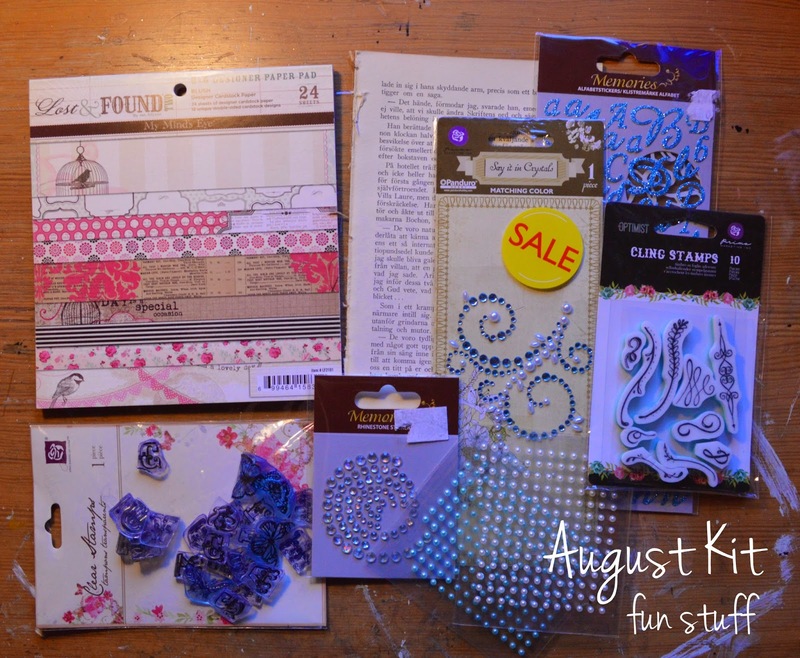 But I see this kit as a starting of point and not being shy to cut in to the papers or finishing a sheet of pearls. Here is my first layout: This kit was perfect for this photo, brown, blue and pink. I took one of the 12x12 Basic Grey papers and the rest is from the 6x6 pad. I love how the colors turned out and when you look at the layout you can feel the autumn the is in the photo. Allot of layers doesn´t have to mean allot of papers, adding washi-tape is a great way to add layer without using papers. One "rule" that I tend to follow is mixing layers, neutrals with patterns.